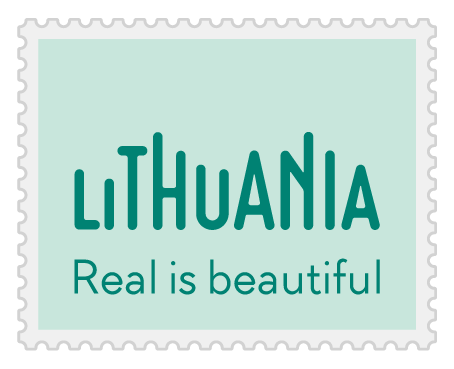 What is special about Latvia? Latvia is best known for is Art Nouveau. The cultural and historic heritage of Latvian architecture spans many centuries, from authentic rural homesteads to unique samples of wooden architecture, to luxurious palaces and manors, churches, and impressive Art Nouveau buildings. Riga alone is home to over 700 buildings built in the iconic Art Nouveau style of the early 20th century. The controversial Soviet legacy in architecture also covers several decades, with striking samples all across the territory of Latvia. Unspoiled nature. Those who like peace and quiet and harmony will be overjoyed when visiting one of Latvia’s many nature parks and national parks. Here you will enjoy stunning scenery, see wild cattle and horses, get acquainted with rare plant species, and experience bird-watching. Various routes have been established for those wishing to go on walks or hikes, as well as for cyclists and those who want to experience something adventurous. 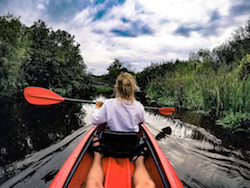 If you like to see nature from a different viewpoint, go rafting or canoeing down a Latvian river. Beach so long and with sand so white! 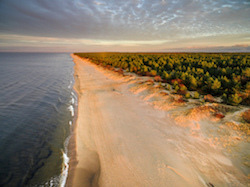 The shores of the Baltic Sea in Latvia are 500 km long. The Kurzeme coast is washed by mighty waves from the open sea that, up north at Cape Kolka, meet the calmer waters of the Gulf of Riga, where the most popular stretches are the white sandy beaches at Riga and Jurmala and the rocky beaches of Vidzeme. Gourmet holidays to enjoy. Wild mushrooms, the royal catfish, venison dishes, birch juice, sweet strawberries and sour cherries, excellent honey, rhubarb wine and beer brewed by local masters - all this and much more is waiting for you in Latvia. 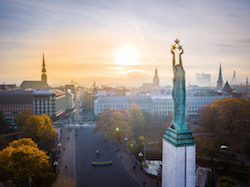 Riga is an outstanding destination for gourmet holidays, but you will also find great restaurants outside of the capital, which are built in historic estates and other beautiful places. 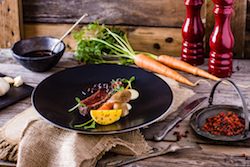 Riga-Gauja region this year is named as European Region of Gastronomy 2017.